At its blowout E3 2018 press conference, Microsoft revealed 50 games, including 15 world premieres, 18 exclusive games, and a new Halo. It's been a constant refrain since the start of the Xbox One and PlayStation 4 era, but reached a fever pitch in the last year or two. Sony's killing it with exclusives, from Yakuza 0 to God of War to Horizon: Zero Dawn, Bloodborne, Until Dawn, Uncharted 4, and more waiting in the wings. The Xbox One has struggled to keep up, with Forza its only consistent seller. Other experiments have either felt half-baked (Sea of Thieves, Quantum Break) or fallen flat (ReCore). But Microsoft came prepared for E3 2018, touting 50 games, including 15 world premieres and a full 18 exclusive titles. That's huge. And hey, don't forget: A first-party Xbox One exclusive is also a PC exclusive in 2018. Read on to see what's in store. The rumors were right. 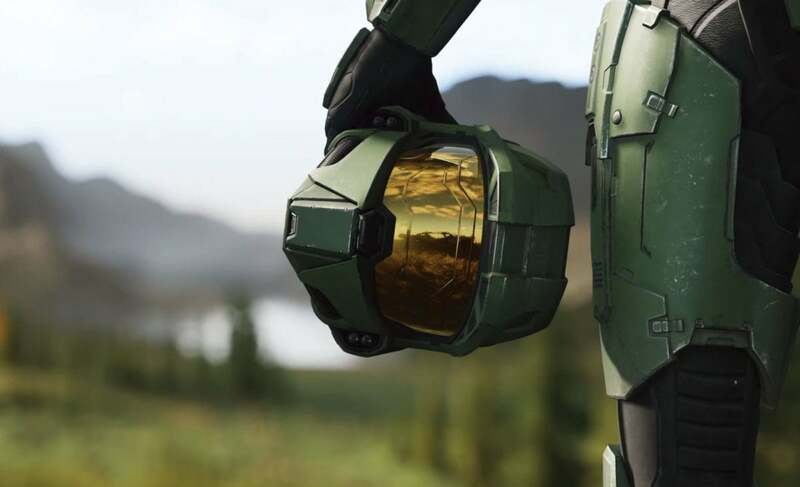 A new Halo was revealed game at Microsoft’s press conference, called Halo Infinite. 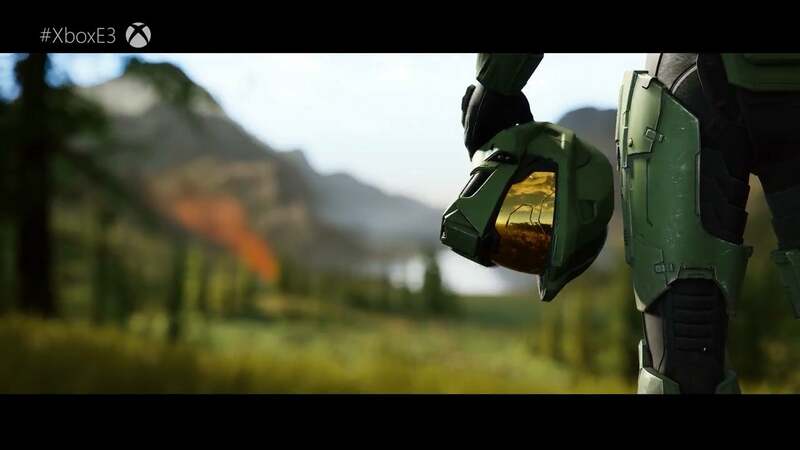 The main surprise: Halo Infinite apparently is Halo 6, or at least it does star Master Chief. Because of the name, I’d assumed it was a spin-off, but Phil Spencer confirmed it’s a game about Master Chief attempting to save humanity. And that’s about it. Just the trailer above, and nothing else. This could be the first Halo game on PC in over a decade though, which makes it pretty huge news too. There’s no reason not to assume Halo Infinite will be an Xbox Play Anywhere title on Windows 10. 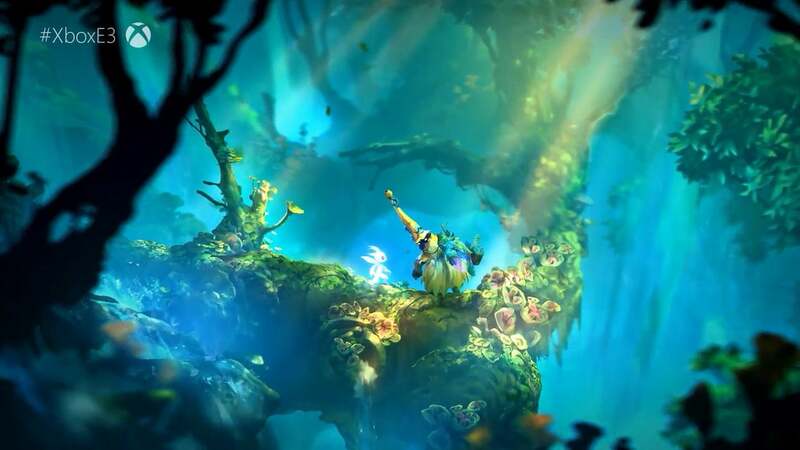 We caught our first glimpse of Ori and the Will O’ The Wisps at E3 2017, but I’m always happy to see more. It’s still one of the most beautiful platformers I’ve ever seen—just absolutely incredible to look at. The new trailer is equal parts whimsical and terrifying, and I could not be more excited. Even during the Dark Souls era I’ve traditionally associated From Software with the PlayStation, which made it a pretty big coup for Microsoft to debut Sekiro: Shadows Die Twice. You might recognize that subtitle from the Game Awards last year, where From first teased the game. Today we got a full-length trailer though, and it looks...well, a lot like Nioh actually. 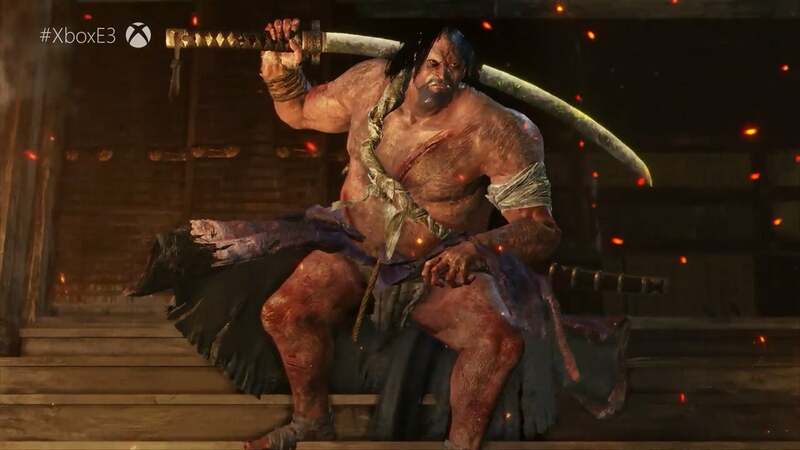 If you wanted “Dark Souls set in feudal Japan,” now you have two options to choose from. And hey, did you see that the main character has a grappling hook for an arm? “Yes, Fallout 76 is a prequel to all our other games, and it’s our biggest one yet. It’s four times the size of Fallout 4.” That’s how Todd Howard kicked off the Fallout 76 trailer at Microsoft’s press conference. 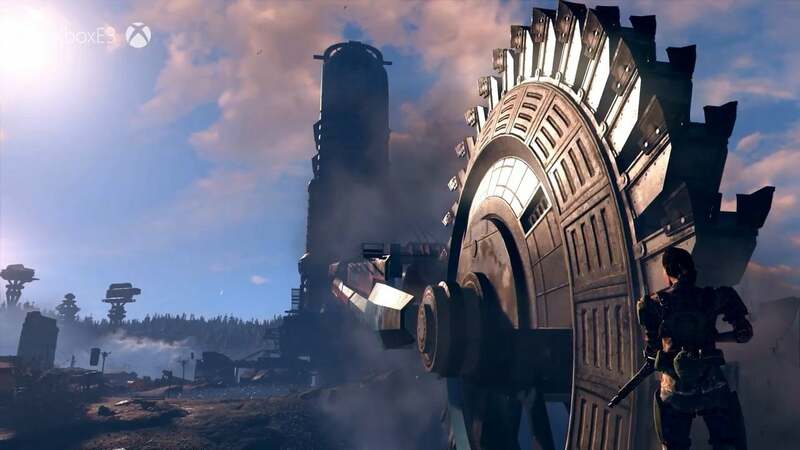 Like the last, it’s more for flavor than anything else—another series of panning shots of Vault 76, the West Virgina landscape, and the crumbling remnants of the post-apocalypse. In other words: Still no real indication what Fallout 76 is, or whether it’s actually the DayZ/Rust survival game Kotaku reported last month. Expect more at Bethesda’s press conference tonight. It’s safe to say Metro: Exodus is my most-anticipated game right now. I’ve been eagerly awaiting more info ever since we saw the reveal trailer last year, and 4A didn’t disappoint during Microsoft’s press conference. 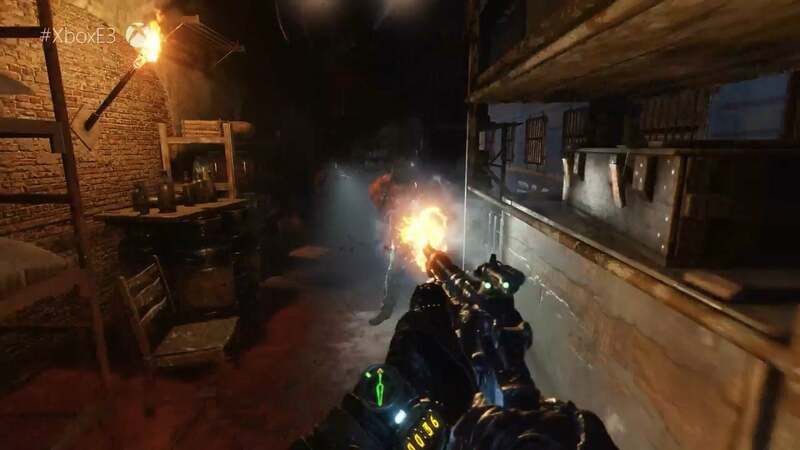 The new trailer is split pretty evenly between the massive-looking outdoors area and the claustrophobic darkness I remember so well from 2033 and Last Light, and it just looks phenomenal. A shame it was delayed to early 2019, but hopefully the end result is as ambitious as it looks. “Because we’ve all been children.” I fully expected Dontnod to reveal Life is Strange 2 during E3 2018, and at first that’s exactly what this trailer looked like. Same twee atmosphere, same soft indie music. 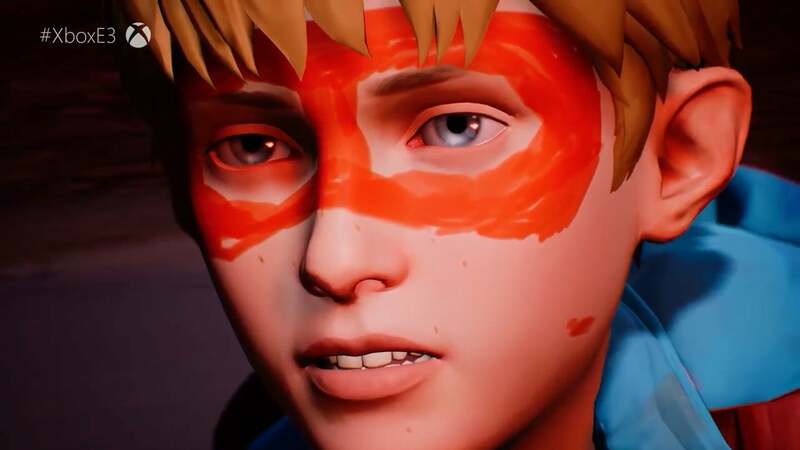 It’s actually The Awesome Adventures of Captain Spirit though, a game about a kid and his relationship with his dad. It looks very much in the same spirit of Life is Strange, even if it’s not a direct sequel, and apparently you can grab the first episode for free starting on June 26. Not too far off. EA promised we’d get a look at Battlefield V’s “War Stories” campaign during Microsoft’s press conference, and we sure did—even if it was so brief you could blink and miss it. This first War Story vignette is set in Norway though, and Frostbite is certainly doing justice to the Aurora Borealis. Here’s hoping Battlefield V’s various campaign setups are as creative and varied as in Battlefield 1. 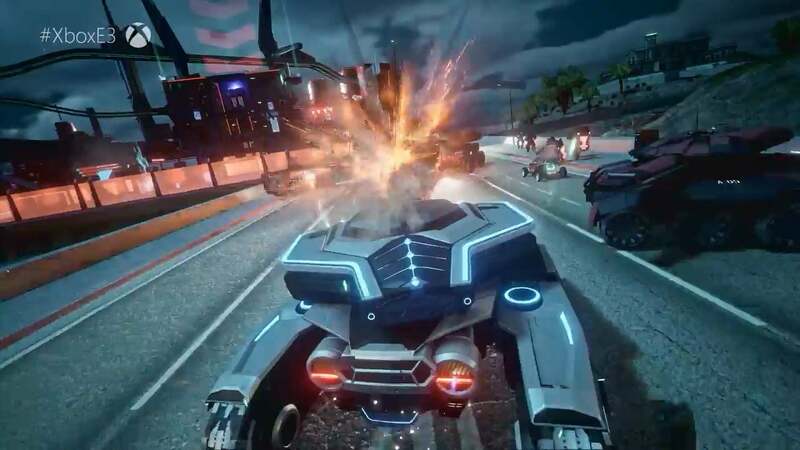 The long-delayed Crackdown 3 made yet another E3 appearance with a new trailer. It’s currently scheduled to launch in February 2019. Fingers crossed. Is Kingdom Hearts coming to PC? Until now, I would’ve said no—and yet it showed up at Microsoft’s press conference, boasting a cast full of characters from Frozen, Wreck-It Ralph, Tangled, and more. I guess there’s nothing stopping it from coming to PC if Square’s made the move to Xbox, but we’ll see. 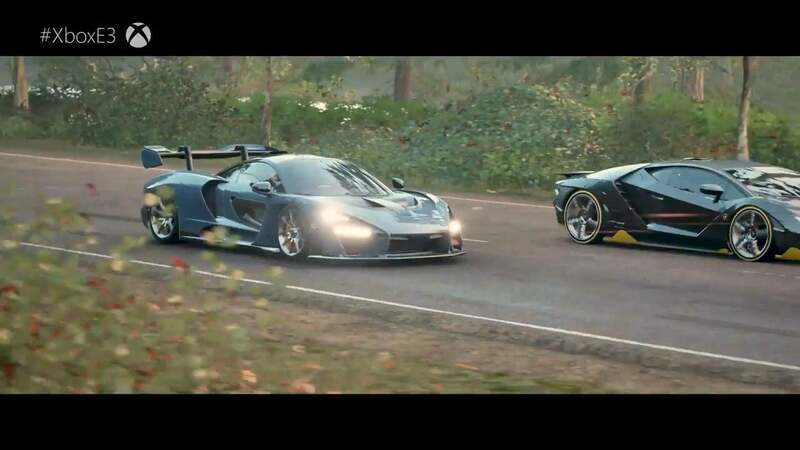 Inject the Forza Horizon right into my veins, please. Even though I felt like the formula wore a bit thin in Forza Horizon 3, it’s still easily my favorite arcade racing series of the modern era. And as expected, Microsoft’s got a Forza Horizon 4 coming on October 2, set in—as Microsoft put it—“historical Britain,” with a dynamic season-changing system (including falling leaves and snow), tons of off-roading, and what looks like...motorcycles? I hope there’s motorcycles. Sea of Thieves has become like Destiny for me—I’m constantly just waiting for a reason to go back. The recent Hungering Deep update started that process last week, adding a Megalodon and some other neat tricks, but it’ll probably take a few of these small content additions to make Sea of Thieves feel full-fleshed. 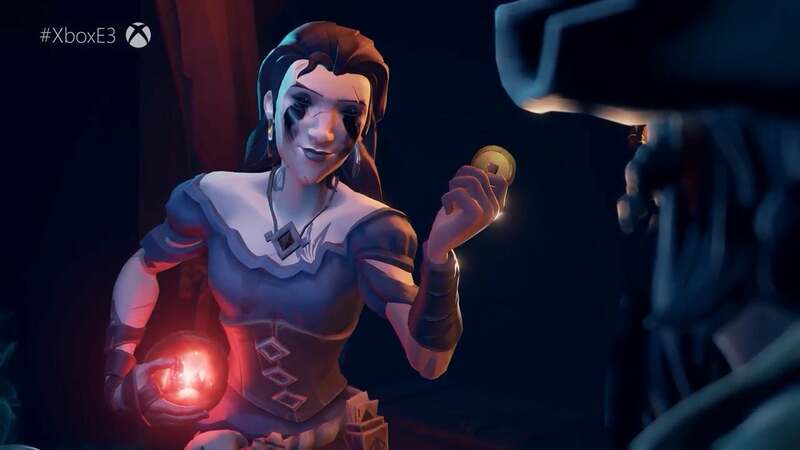 The Cursed Sails (July) and Forsaken Shores (September) DLCs are the next step in that process, and this trailer is cute even if it doesn’t show much of what’s in store. 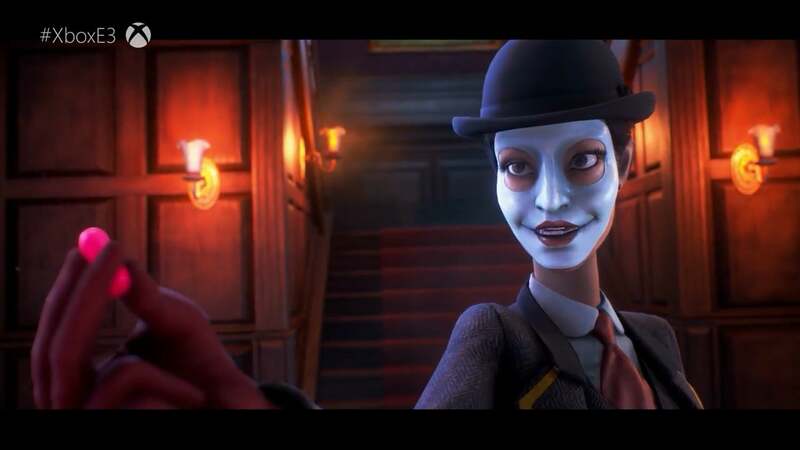 It feels like it’s been years since I first saw (and played) We Happy Few, but it’s finally almost here. The game’s weird dystopian British atmosphere, reminiscent of The Prisoner, still seems incredible—though last time I played it I wasn’t really taken with the crafting/survival loop that made up most of the game. Interested to see whether that’s changed, but there’s not much to go on here. PlayerUnknown’s Battlegrounds made a brief appearance at Microsoft’s event, which makes sense—it’s an “Xbox Exclusive” on consoles. 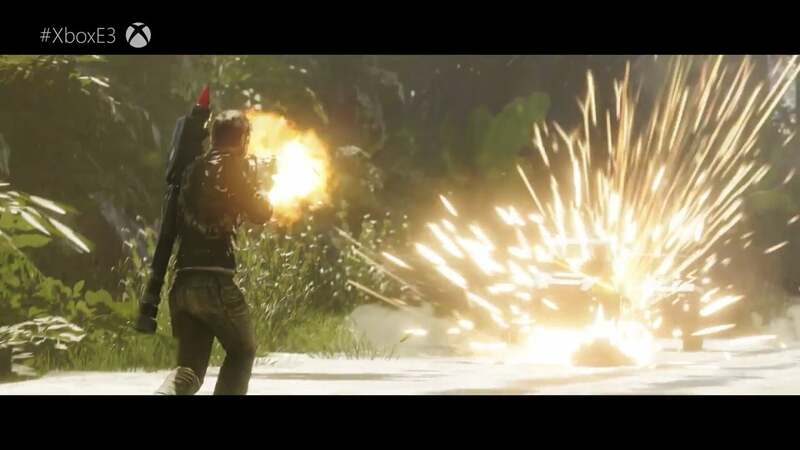 Showcasing the War Mode and Sanhok map, there wasn’t much there that PC players haven’t seen yet, except for a brief tease at the end: A snow map’s coming. Ubisoft’s party was spoiled literally the same day as Microsoft’s event, but we got our first look at The Division 2. First there was a flavor trailer, “revealing” an overgrown Washington D.C. setting. Much more interesting though was the second trailer, which showed actual game footage—along with Ubisoft’s trademark “Fake Gamer Chat” dubbing. Awkward voiceover aside, there were some pretty amazing locations to admire—what looks like Air Force One crashed into the middle of a pond, and then the four agents sprinting towards the Capitol at the end. The Division took two years to get good, but it did eventually get good. 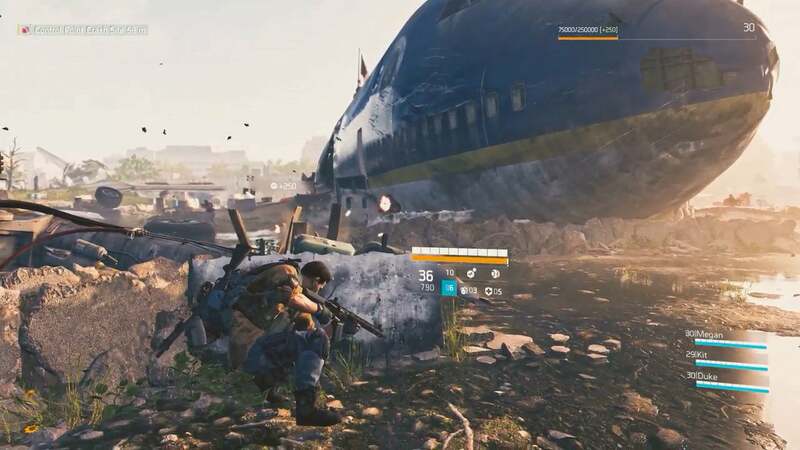 I’m hoping The Division 2 can start with those lessons already in place and make good on its world-building. DmC is a fantastic game. 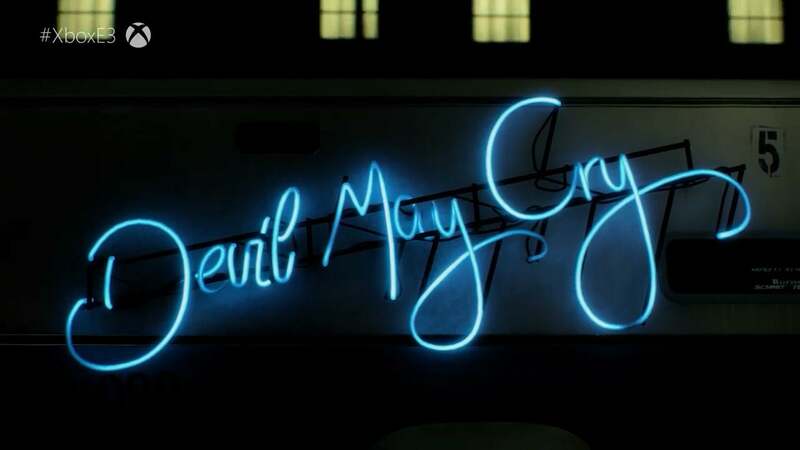 I know longtime Devil May Cry fans felt betrayed by its reworking of Dante and that universe, but I loved it. Five years later, it still has some of the most creative level design I’ve ever seen. But rather than continue on from DmC, Capcom appears to have...combined the reboot with the original? There definitely appears to be Neo Dante mixed in with the old Dante in Devil May Cry 5, which is...well, I don’t know. We’ll see how it works, and whether this new chapter plays more like the originals or Ninja Theory’s game. I’m at least intrigued. Cuphead is getting an expansion, called The Delicious Last Course. New isle, new bosses, new weapons, and with a brand new character, Ms. Chalice. Hopefully new and catchy music, too. One hell of a soundtrack in that game. Here’s another one we’re going to see a few times this weekend: Shadow of the Tomb Raider, which will undoubtedly have a lengthy demo during Square Enix’s press conference tomorrow morning. 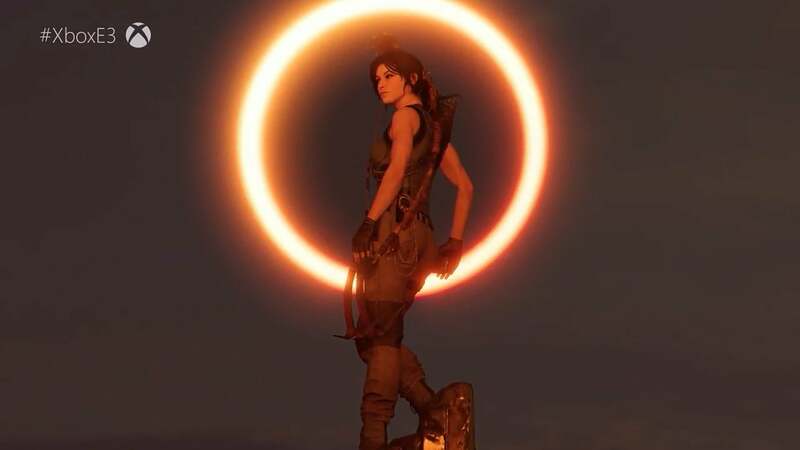 Today’s trailer mostly teases the story, which as we reported in April involves Lara searching for a dagger tied to a Mayan prophecy about the apocalypse. It’s a pretty interesting setup, with Lara almost immediately put on the defensive. I’m just curious how it plays, given Rise of the Tomb Raider felt like a pretty bloated sequel. Hopefully we’ll get some more hands-on time with it this week. Nope. It’s Session. There’s a PC demo on the site already, if you want to test it out. Fair warning: It looks a lot like Skate 4, but it isn’t quite Skate 4. Dying Light 2! This was a surprise. I figured Techland was working on a sequel after the first performed so well, but I didn’t expect to see it so soon—especially after we just played that faux-battle royale mode at GDC. I thought that was their stopgap. It’s true though, and even better: Famed RPG writer Chris Avellone is working on it. 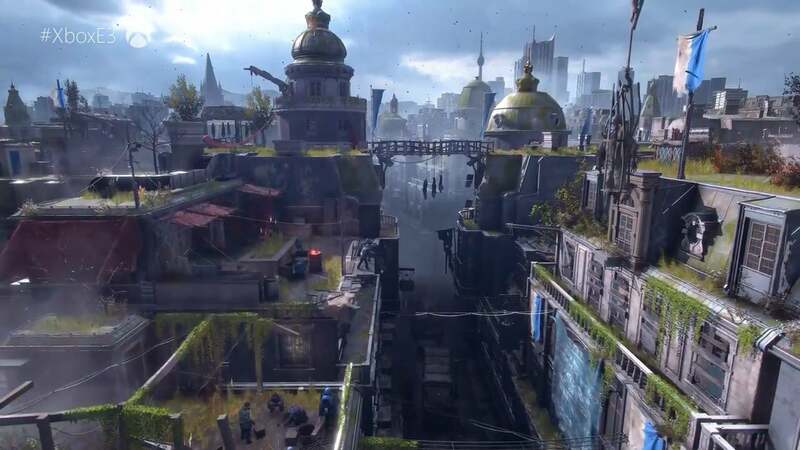 Apparently “choices” will be a big part of the sequel, with you navigating between multiple factions and thus affecting the city in various ways. For instance, turning over a water supply to the Peacekeeper faction allows them to clean up the streets, but also turns them into a sort-of tyrannical police force. Siding against the Peacekeepers prevents that future, but makes the streets more dangerous. It sounds exactly like the stuff Chris Avellone is good at, mixed in with all the parkour and melee combat I loved from the first Dying Light. Look for it in 2019. Thanks to Canadian Wal-Mart, we already kind-of knew Just Cause 4 was on the way. Today’s trailer was suitably ridiculous though, ending with Rico riding a car into what looked like a tornado? Also crashing another car into a helicopter. All the usual chaos I’ve come to expect. This is another Square Enix joint, so expect to see more during tomorrow’s press conference. The worst part of Gears of War 4 was the generic dudebro protagonist, J.D. Fenix. He might’ve been Marcus Fenix’s kid, but wow was he boring. 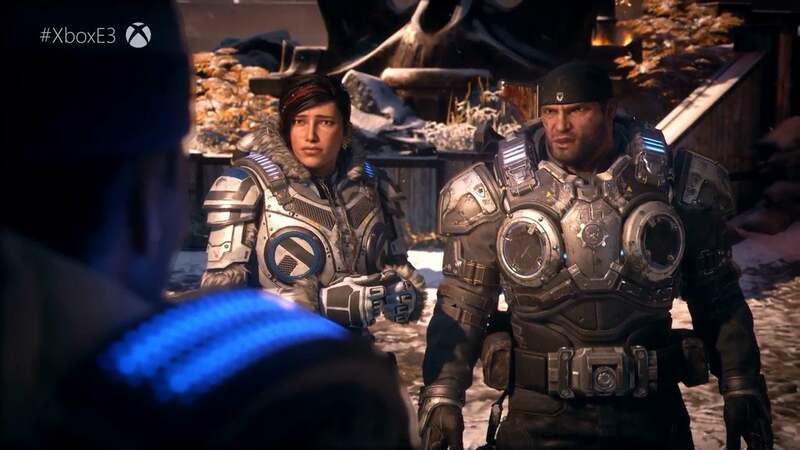 So I’m at least a bit interested by the fact Gears of War 5 will move away from JD and star your companion from the first game, Kait Diaz, as she delves into the Locust mystery. There’s a lot of “Is Kait actually on our side or not?” posturing in this reveal trailer, the implication being that she may or may not be leading the rest of the squad into a trap—which, if you’re playing as Kait, seems like it could be a pretty interesting setup. We’ll see. And for those who want Gears of War in a different form, there’s also Gears Tactics. “Create a whole new squad, twelve years before Gears 1.” That’s how Rod Ferguson introduced the game, which is apparently a turn-based take on the universe. XCOM mixed with Gears? Could be cool. 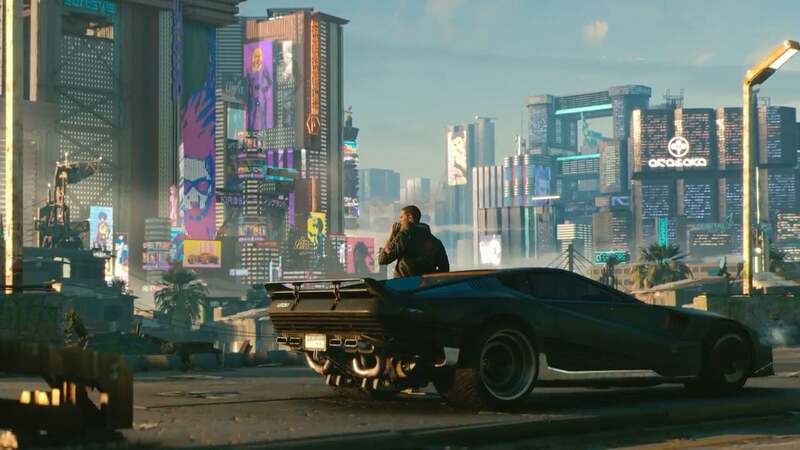 Microsoft closed out with a real coup though: The first look at CD Projekt Red’s Cyberpunk 2077 in...five years? Something like that. I have a meeting scheduled with CD Projekt during the show proper, so stay tuned for more thoughts later this week. For now, enjoy the trailer.